The 2016 Buena Tierra Vineyard spring release is upon us. The beautiful old vines keep offering large bunches of magnificent grapes. I don’t get over to the vineyard as often as I’d like but a little voice in my head will pop up telling me it’s time to go for a visit. It’s like going to a special vineyard land where I feel love for these old vines. I’m a mother coming home to see how her children are doing. It’s a place my late husband and I loved going to, as it holds so many wonderful memories and hope for the future. Our Chardonnay has always been so special and this vintage is no different. When I open a bottle of Shibumi and take a sip it’s effortless and celebratory. But there’s so much more that goes into it from vine to bottle. We don’t stop to think of that and to marvel at all the many talented people it takes to make this happen. I want to thank the people who make Shibumi possible and all of you who love drinking it. I appreciate each and every one of you. The people who make Shibumi are my team, each person has a huge impact on the quality and viability of the wine. Below I want to share a little about each person on Team Shibumi. I hired a sales and marketing manager last September, Tara Pray. She is a wonderful addition to our little family. 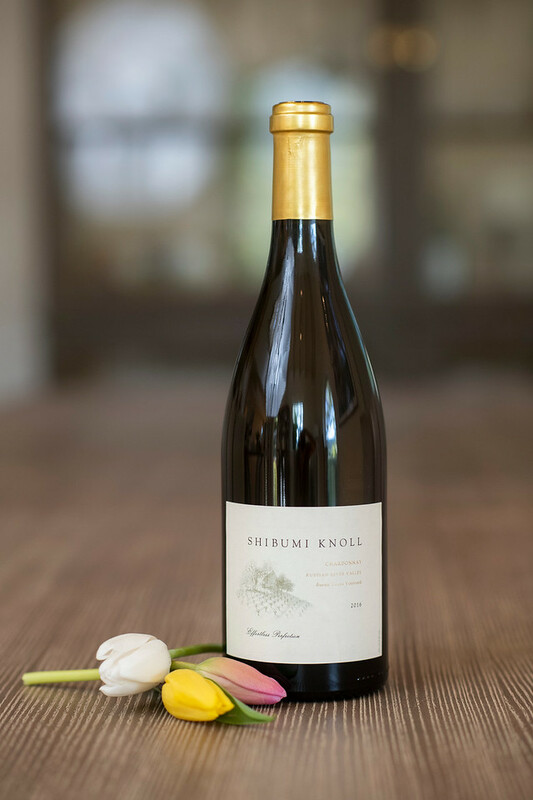 She has been instrumental in introducing Shibumi wines to many restaurants in the valley. She has grown our social media exposure through Instagram and Facebook posting new and exciting occurrences about Shibumi. Take a look. Thomas Rivers Brown, Shibumi’s winemaker, walks on wine. His talent is superb and his impact on the valley grows wider and deeper each year. His natural ability to know how wine should be made is a skill that shines through in all of his custom crush wines. The product is so beautiful, and I’m blessed to have him make Shibumi. On top of that he is one of the nicest people to work with, his humble personality belies his talents. David Abreu’s Vineyard Management team is seamless. They come in quietly and quickly tending the vines making sure everything is done with the upmost care. Their style is perfection with attention to the grapes and the environment in which they’re grown. I am always content knowing things are being done with excellence. David’s team tends my estate Cabernet grown in Saint Helena at Shibumi Knoll. Desmond Echavarrie, MS, who sells to distributors and beyond through his company, Scale Wine Group, works more than any one person should. Des has always had a love for Shibumi since his French Laundry days. Shibumi is in many states across the country as well as internationally, due to Des and his team opening new doors and experiences. Last but not least are the Shibumi Mascots, Tucker and Balthazar, who continue to greet each visitor with toys and hugs. They’re Napa Valley Wine Dog stars and can be seen in the new issue of Wine Dogs. This vintage will no doubt be one of your favorite ‘go to’ chardonnays. As I pour the wine, I see the signature golden color and rich slow-moving legs slide down the glass. The nose is gentle, warm and delicious as notes of ripe apricot and peach fill my senses. I take the first sip and the mouth feel is smooth and sensual. I taste lemon chiffon tart balanced with a fresh, clean drinkable flavor that is not to rich or too thin. The complexity offers the perfect balance of lushness and lightness. It’s a summer evening sunset and an elegant dinner wine in one. 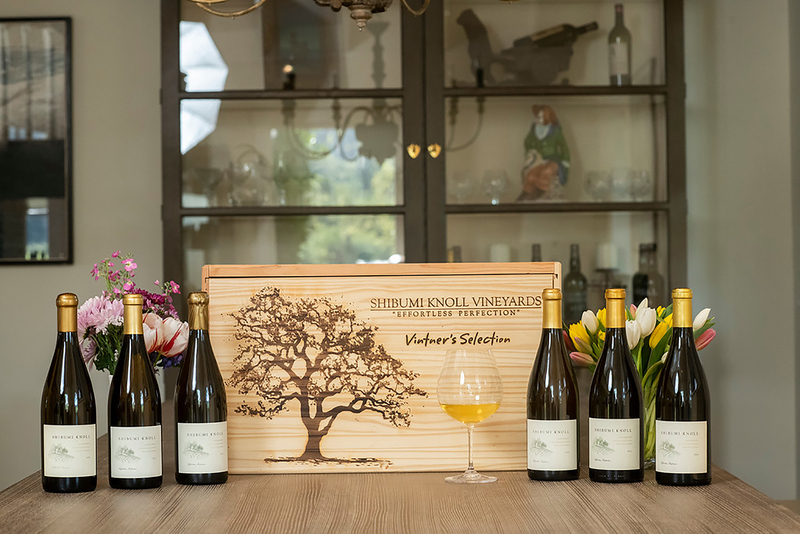 In addition to the 2016 Chardonnay Spring Release, I’m adding a limited special offer of a six- bottle flight of Chardonnay. I love having a flight of a certain varietal at a dinner or tasting. It’s so fun to look back and taste what the past vintages have to say. It’s a surprise because they change as they come into their own. 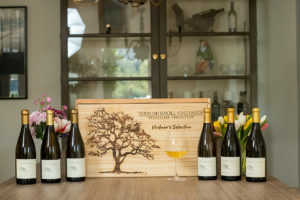 The flight offer will consist of 2010, 2012, 2013, 2014, 2015 and 2016 chardonnay vintages (wood case is not included). Enjoy life have love in your heart and a glass of wine in your hand. The 2019 Spring release offer is in addition to our regular offers that are always available.